Have you ever stopped to consider what an amazing responsibility the Great Commission is? 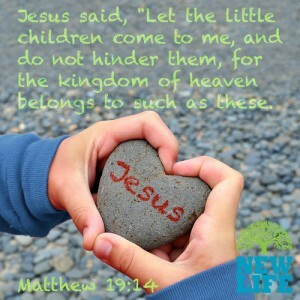 Jesus is asking us to teach “all that He has taught.” How do we do this with children? Children need to be formed in the richness of the faith even at the youngest age. The fact that they have been baptized they have the grace receptors they need to respond to and listen to God. Jesus’ parting words to His apostles became His “Great Commission” to the Church. So Christianity’s center is Christ. His every action, His every thought, word and deed become sacramental graces for the Church to live into and usher the whole world into. Of course we bring to children the wealth of the Church’s treasury of knowledge and truth. This is a given. In age appropriate stages they can dive into all of this. But the Church should not see children as being “empty.” St. Paul tells us that the baptized are “earthen vessels” full of grace. This means the soul is where the “transcendent power of God” is discovered. (2 Cor 4:7) Children have sanctifying grace, they are filled with the Holy Spirit. Their life of grace is “confirmed” and empowered later in the sacrament of Confirmation. This indwelling of the Holy Spirit is foundational for the Catechesis of the Good Shepherd. The Holy Spirit teaches by guiding and opens the soul of the child to God’s presence. The catechist listens to this dialogue between child and God and invites the child to discover the movements and love of God for them. The presentation of a biblical story and addressing the sacred items of worship and liturgical actions are but examples of how the Catechesis of the Good Shepherd draws the child deeper into their faith. Sofia Cavalletti uses the image of a pebble entering into water. We see from this illustration of simple beginnings stir the Word move within us. Consider the pebble. When the pebble enters the water it sends ripples across the water’s surface while entering it’s depths. First small ripples, but they increase in size and influence as the pebble penetrates the water. Jesus’ presence begins with the simple gesture of water and prayer. In time Jesus sounds out through our whole being. He penetrates our soul through the Holy Spirit in deeper and deeper relationship. In the atrium Jesus is acknowledged and encountered. The atrium has dedicated catechists who themselves are renewing always their faith in God. Children need continuity in the atrium and need to be present. Remember God is searching for us! God always takes the first steps, and draws near to the child in the atrium. Over time the two parts of the Holy Eucharist are assembled in the child’s life. First, the child learns how to listen with God at the “table of the Word” which is the Holy Bible. As they engage the biblical stories there is forming within them a theology of faith. For example they learn how God is the Good Shepherd and they are one of His sheep. This prepares them to listen with God at the “table of the Eucharist.” This “table” is the Altar in the sanctuary. They learn to listen here through the sacred items and prayers and movements of the mass how God feeds His sheep.